Happy spring, Flash Squad! We’re gearing up for our favorite season at DERMAFLASH HQ by sharing a few amazing additional benefits of dermaplaning that extend way beyond the quick n’ easy removal of facial fuzz. 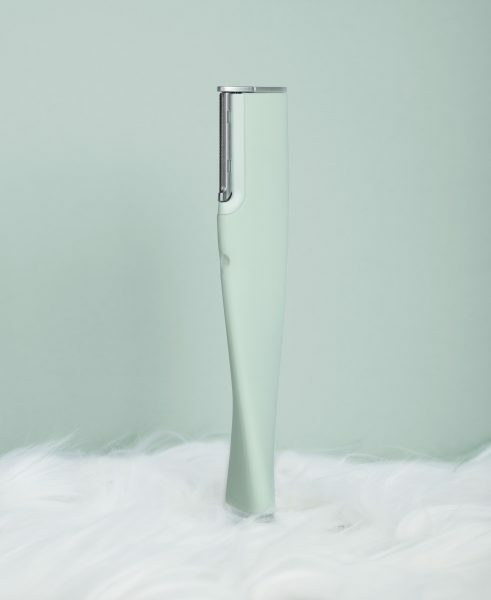 Yes, using your DERMAFLASH LUXE helps deliver the safe, pain-free, convenience of removing peach fuzz at-home, but did you know it also removes dead skin, decreases hyperpigmentation, improves fine lines, and helps lessen the appearance of sun-damage? 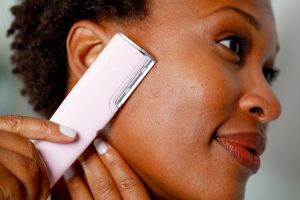 Read on to learn the revolutionary benefits of your trusty exfoliation device for younger looking skin. Dermaplaning helps remove dull, dead skin and impurities from your skin’s outermost layer. Removing that unwanted layer of skin removes that dry surface layer to improve the tone and texture of the skin. Your skin will immediately look more radiant because peach fuzz and patchy skin trap dirt and oils that can lead to skin irritations and blackheads. In fact, exfoliation via dermaplaning is the most effective mode of removing dry, dead skin. The final results are smoother, softer skin that’s primed for even makeup application. >>We focus on real women, real results, at all ages. Catch the immediate results and ease of using DERMAFLASH in this informative video. Dermaplaning helps to reduce hyperpigmentation and acne scars helping skin look smoother and younger. Hyper-pigmentation does not have to be permanent especially when you treat it early and consistently. Dermaplaning helps to increase cell turnover to rid your skin of dead cells. Turing over new cells will help new skin come in faster alleviating the appearance of hyperpigmentation. Because DERMAFLASH LUXE is an exfoliation device, first and foremost, it not only helps to remove debris but to promote smoother skin. 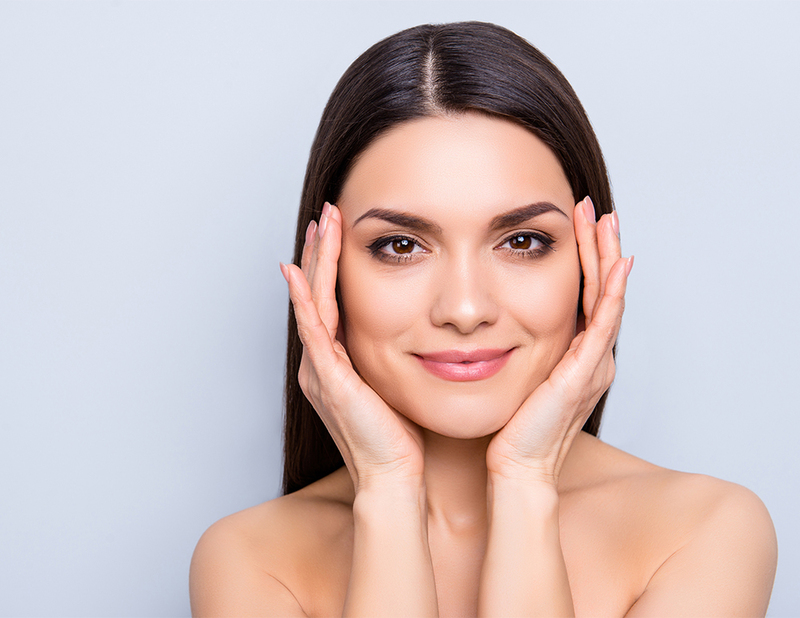 After using your dermaplaning device, your skin will look rejuvenated. Skin resurfacing takes off the skin’s top layer, revealing baby-like skin and allowing skincare products to penetrate better and properly absorb. As recognized in Allure, dermaplaning helps to stimulate collagen production and improve wrinkles. >>We answer your most popular concerns and questions regarding DERMAFLASH and dermaplaning in this insightful video. Regular at-home skin exfoliation helps refine and brighten your skin, diminishing the appearance of dark spots and sun spots to help them fade and become less noticeable over time. DERMAFLASH LUXE helps to amp up microcirculation to reveal fresh, new skin. In addition, we recommend using an SPF of 50+ after dermaplaning and when going into the sun. 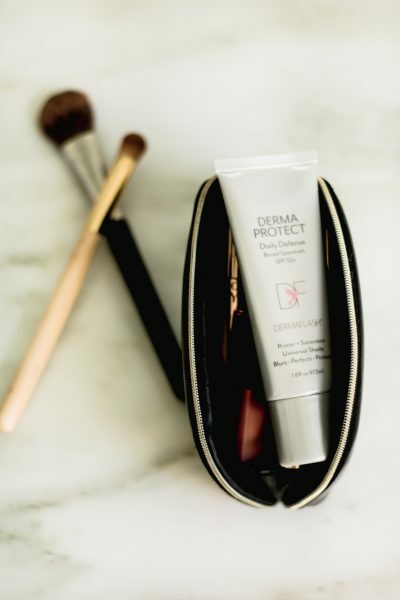 We’ve worked hard to develop DERMAPROTECT a primer, sunscreen, and universal skin tint to blur, perfect and protect especially after at-home skin exfoliation.